It's amazing that you brought the photograph to life... again, such a gift. I love it and love the story about your dad. My grandparents both grew up on farms in Kansas and my dad says spending his summers on the farms added so much to his life. My Dad as one of nine has some crazy funny stories of growing up on the farm. He is the last living son and I know he would give anything to go back in time to that farm. 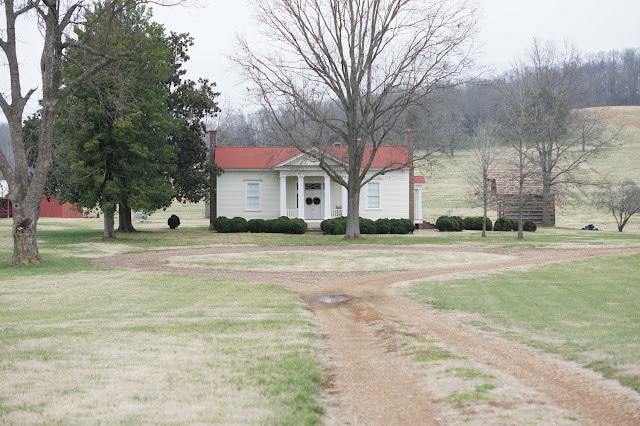 This darling farmhouse and your prior post on J. McLaughlin make me smile. Your work is instantly recognizable and such a delight. I know I love seeing it every day. One at my desk downstairs (the house) and one upstairs (the desk scene). I think of you every day! I would love to have a weekend farm house. Of course, I'd need to have some help to run it during the week. I love this one you've captured here. Oh my goodness, SO charming!! Artwork is supposed to be an interpretation of what the viewer sees not life itself. I think you captured the house, setting and mood perfectly. Artists are their own worst enemy sometimes but you’ve learned when to say enough it’s done. Something I haven’t always been able to do so I’m a little jealous of your talent. I love your notion of the simple place at the end of a dirt road.... Walden's cabin comes to my mind! And to capture it as you do.... Wonderful! I love the barter idea. It tells of simpler times. 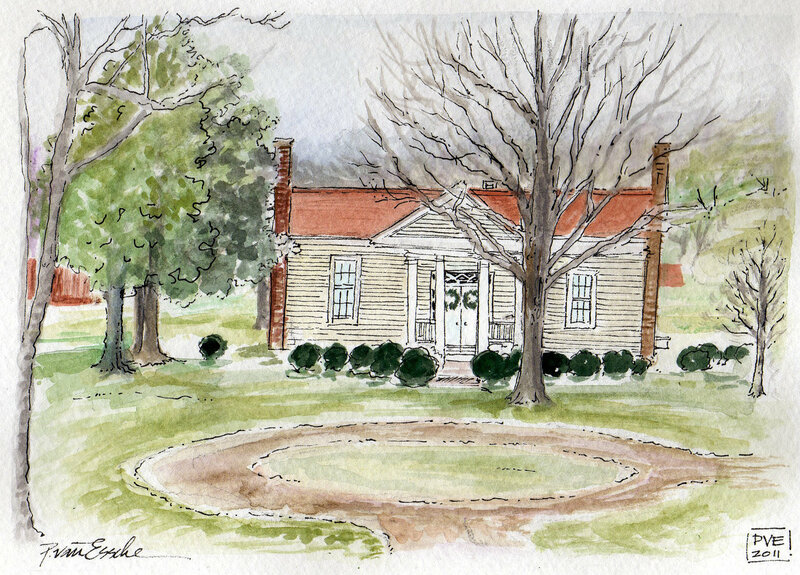 Your illustration of the farmhouse also tells of more peaceful times. I love it. 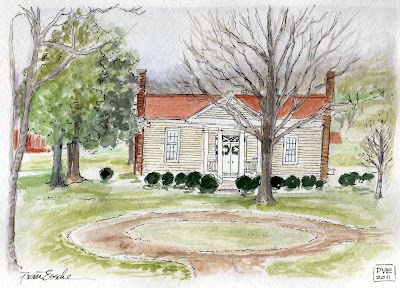 I love the insight into your creative process, and can feel the peaceful, calming pace of this sweet home on a farm. My Grandmother had a farm, and I have such strong memories of the sounds, the smell the feel of the place. I love how art can bring that all back! I'm so excited about our project and can't wait to see how it comes to life in your hands! Such a great piece of advice!! This is a great piece, one lucky customer! Amazing talent! Love this image and I've especially loved the montage and maps you do. Love this image. Would like to see if you could do a similar project for us?